Keep it rooted to the tradition yet be timelessly classic in this dignified teal blue designer suit. This crepe straight suit showcased by Prachi Desai is stylized by embroidery work. 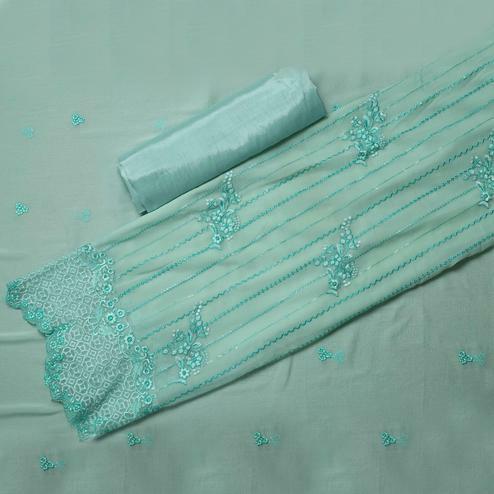 Comes with santoon lining & bottom, along with chiffon dupatta all synchronized well with the latest trend and style. 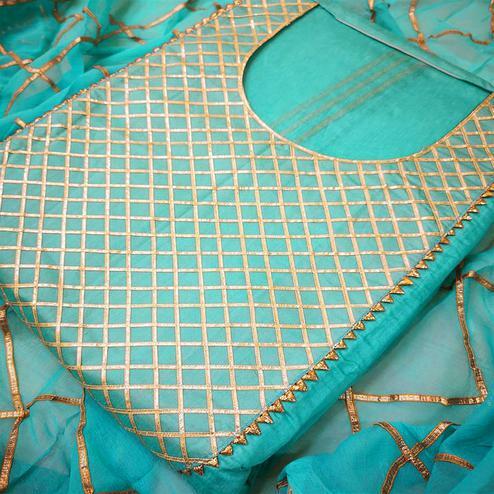 This semi stitched outfit is perfect to wear at parties, functions & occasions. 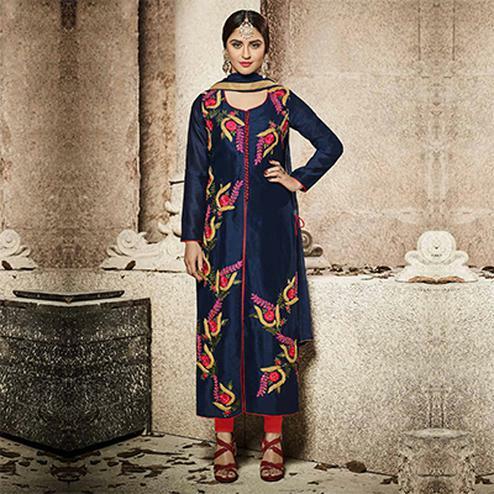 Team this suit with ethnic accessories and high heel for a complete look.